It was quite evident when I attended the Chophouse 'Pig & Pinot' Bloggers Dinner how many food bloggers use a DSLR cameras these days. I certainly felt like I was the only one without one that night. One day I'm sure I'll upgrade but until then I try to make do with my compact point and shoot digital Canon IXUS 105 (previously a Canon IXUS 70) with no manual controls for better Depth of Field. I think it's very important to know as much about your camera as possible to make the best of it — whether you have a point and shoot like mine or a top of the line professional DSLR. I'm sure there's a few bloggers out there who don't know where their macro setting, white colour balance and ISO settings are, or even what they are. Of course it's human nature to be a bit lazy and I'm guilty as well. I'd rather be shown how to do something rather than reading a boring manual — but it will help you understand your camera better. I'm sure we've all heard and learnt that natural light seems to provide the best conditions for taking your best photos. Colours will be truer and detail will be much better. Although when it's dark I try to use whatever light source I can at the table like candles or move the dish to the brightest area. There's a sort of golden rule that it's bad to use your flash for food photography because it gives you harsh lighting and of course will blind your table guests and possibly the tables all around you. But if the lighting is simply way to dark then I usually resort to taking a flash photo if it's convenient from about 50 cm away and then cropping in later. I think it's better to get the shot rather than having a crappy blurry shot which looks awful — but of course in moderation and where appropriate so you don't annoy other diners. Make sure your image is as focussed as possible — you won't really be able to sharpen it later. Take multiple shots if it's not quite focussing the first time. I tend to use a glass to help hold my camera steady if required or place it against a wall for room decor shots. You can change your camera to adjust for Tungsten or Fluorescent lighting. This will help make your whites look white rather than yellow or blue in colour. If you're taking shots of food very close up then you need to adjust your lens to a macro setting otherwise it won't focus very well. I tend to use the macro setting for most of my food shots. This also helps to give me a bit of depth of field in my photo when using a compact digital camera. Setting to a higher ISO like 200 or 400 will help capture photos in low lighting conditions. Unfortunately it can also make the photo look more grainy and add noise, especially when using a compact digital, but at least you'll have more of a chance to get the photo in focus which is a priority. It's best not to rush taking a shot — be patient, unless you have impatient friends and family waiting to eat while you take your shot. Breathe, take your time, make sure it's focussed and your composition is looking good. There's always hundreds of ways you can compose a photo. Think about the most interesting way to frame your shot which shows off the subject matter. Try a few different angles and see which one works best. Of course when using a compact digital camera it's likely the limitations will not make for a perfect shot. If this is the case then retouching can help dramatically if you know what you're doing to make a dark shot brighter or a very orange photo look more neutral white. But if you follow the basic steps above this will hopefully help to avoid very blurry photos at the very least. I definitely agree with not using flash unless its absolutely necessary. The flash on my camera is evil.. just plain evil.. Your photos always make me envious - especially the low-light ones! Thanks for the tips and links. Good tips Simon! Not having a bulky DSLR certainly is preferable, but obviously the quality suffers. Perhaps one of the new super-compact Sony NEX DSLR cameras will do the trick. Great post! Although I have a DSLR, I often use my point & shoot when dining out as it is less chunky. I think Canon's IXUS range is the best. LOVE my Canon IXUS 110 IS! I've been following your posts for a while. I note that it's your clean compositional design that makes your images stand out. The camera never enters my head and I think you do a superb job with a KISS camera. 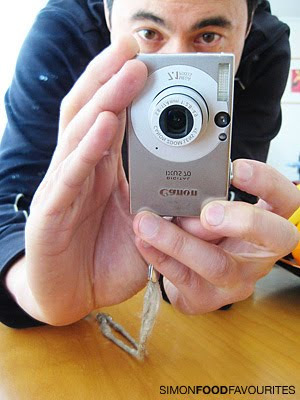 What camera did you use to take the shots of the Canon Ixus? hi laura, i hope they come in handy. they're basic tips but quite powerful. hi kristy, some flashes are super strong these days they'd definitely blow out all the colours. if you're lucky enough to shoot without a flash it's so much better. hi bel, i still struggle with those low light shots but one day i'll have a much better camera that can help. 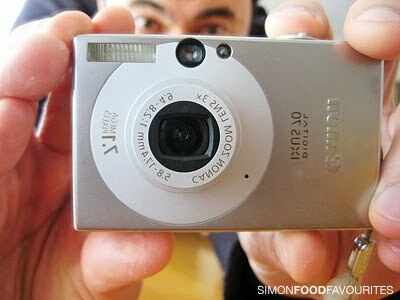 hi joey, i think my next camera will be a compact one with has manual settings and a better optical zoom. they seem to be getting more common now. i love how they're so much more practical to carry. the Sony NEX DSLR sounds pretty amazing although is it a fixed zoom? hi louber, thanks for the positive feedback. i think the most important thing is to push the limits of what you have to use and know it's limitations and how to try and overcome them. happy shooting! hi jen, the convenience of a compact is very attractive isn't it. i love the Canon range. they really seem to make very nice intuitive good looking cameras. Some good tips here Simon, thanks for those. I have been using my iPhone for a while now and have noticed that the shots I took a few years ago on my P&S were better. I think it's time to pull it back out and give it another go.....but then again I'm so keen on upgrading to a DSLR. hi trent, interesting to hear your new iphone still isn't as good as your point and shoot from years ago. probably true when it comes to dim lighting situations. upgrading to the DSLR will give you even better shots. just remember the best camera to have is the one you have with you. i always carry around my DSLR but for some an iphone will be the only one they will want to carry.